Hey folks, this is going to be the last post of 2018 as I take a little time to spend with my family over the holidays. BourbonGuy.com will be back to its regularly scheduled twice per week posting as of January 3rd, 2019. Until that time, I hope you have a very fun, yet safe, holiday season and I will see you in the new year. It has been one thousand, five hundred and seventy-seven days since I last did a tasting of Maker’s 46. 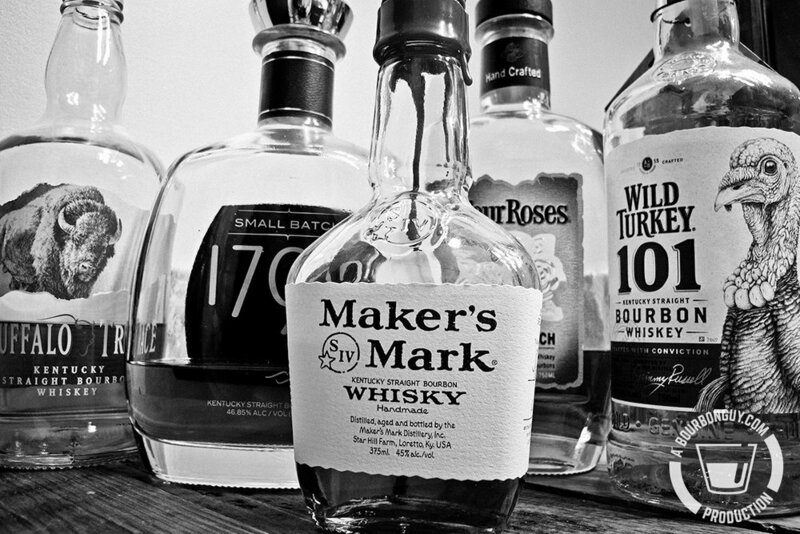 About four hundred days later I featured the entire Maker’s Mark line (to that point) in the inaugural edition of the “If you’ve had…” series. It’s like a spicy candy. And that makes me happy. I’ve had this on the shelf quite a few times, and every time I do I think that I should buy it more often. Then of course, I forget about it in favor of the next new shiny thing. This is the first time that I’ve sat down to do a thoughtful tasting of it, though, since those first few posts. Let’s see if anything has changed other than the price, which in this case went down. Nose: Cherry, chocolate, vanilla, brown sugar, nutmeg and cinnamon. Mouth: Overflowing with baking spices like nutmeg, cinnamon, and cloves. There is a nice toffee sweetness baking them up. Finish: Medium length and warm. The baking spice parade continues here with the spicy notes from the mouth hanging around for a nice long while. Thoughts: Like I said above, I tend to forget about this one. No more. At roughly $25 per bottle, I think this needs to join the rotation of “everyday” bourbons on the shelf. This, Wild Turkey 101, and a Very Old Barton. Not a bad rotation. I state in my Statement of Ethics that if I accept a review sample, I will disclose it at the beginning of the article. Please consider it disclosed. I’d like to thank Maker's Mark for providing this sample to me with no strings attached. As always, all thoughts are just my opinion and should be taken as just that. I have spent the last two evenings re-mulching the flower beds in front of my house. If I did it all at once, this would be a much more onerous task, but luckily the pick-up truck can only hold so many cubic yards of mulch. So I get to break it up into three much more manageable (though, to this out of shape drinker, still tiring) jobs. We like to get the ruby red mulch. Not only is it an attractive color, but it nicely accents the green plants that it surrounds. Does this have anything to do with tonight's whiskey? Not really. I just wanted to whine about my sore back for a bit. Well, maybe there is one connection. Red. Tonight I'm tasting a lovely limited edition, gift shop only, version of bourbon's favorite redhead, Maker's Mark. It is a sold out release, so I'm basically bragging at this point. But the knowledge of how good, or not, this release is might help you decide whether or not to make the trip to Maker's to stand in line the next time they announce a super limited, distillery only release. In case you hadn't guessed it already, I'm tasting the Maker's Mark Seared Bu 1-3 bourbon tonight. It is an off-shoot of the Private Select program we discussed back in December. This time they are featuring a new stave that wasn't included in the Private Select program. Not because it didn't taste good, but because it didn't play well with others. So what is this Stave Bu 1-3? According to the press release, it is a "virgin seared and sous-vide French oak stave." And according to author Carla Carlton, that means precisely what it sounds like: the seared staves were soaked in temperature-controlled water for some length of time. How does this help the stave make the whiskey taste different? No idea. I'm not a wood scientist (though if a wood scientist is reading this, I would love to know, and will happily publish, the answer). But for now, you probably don't care about that. You just want to know how it tastes. Purchase info: This sample was kindly provided to me free of charge by Maker's Mark. The suggested price was $39.99 for a 375 mL bottle. Details: 55.35% ABV. Batch #1. Sample date April 24, 2018. Stave profile 10 Seared Bu 1-3. Nose: Caramel, vanilla, ripe cherries. Mouth: Very warm when neat. Buttered toffee, honey, baking spices, and a light fruitiness. Finish: Long and warm. Lingering dark chocolate and cinnamon. Thoughts: This is delicious. Forget making me want to drive down to buy it; this bourbon makes me want to live near the distillery so I could be first in line on the off chance there is something like this put out again. I'd love it if this one was added to the permanent line-up along side Maker's Mark, Maker's 46, and the cask strength ones. As this is a barrel-strength release, I'll let you know that this holds its own with, and can benefit from, a little water. All the flavors stick around, but the heat gets knocked down some so you can enjoy them. I absolutely love this one. I'll be sticking this in the closet to share when company comes over. In my last post, I gave a little bit of background information on both Maker's Mark and the newish Maker's Private Select, including a breakdown of what each type of finishing stave adds to the flavor of the finished product. Tonight, however, I want to talk about the bottles that I actually purchased. I went out of my way to purchase bottles that had wildly different combinations of finishing staves. I did this to try to maximize the differences between the two bottles so I could see just how much difference they actually made. Nose: Wintergreen with a slight floral note, brown sugar and some oak. Mouth: Baking spice, brown sugar, oak, and almond. Finish: Long and warm with almond and sweetness. Thoughts: This is a bit hot and bitter for my tastes. It's fine, but not for me. And for the price, I wouldn't recommend it. Not sure what Whisky Magazine and Liquor Barn were aiming for here, but they may have missed it. In any case, I think the two of them could have done better. Nose: Maple, honey, black tea, and baking spice. Mouth: Spicy and warm with honey, cloves, nutmeg, orange zest, and black tea. Finish: Oak Finishing Stave: On the long side of medium, lingering black tea, orange zest, and spice. Thoughts: I really enjoyed the nose on this one. The mouth and finish were interesting as well because I seldom get orange zest on a bourbon and I enjoyed that. I'm not wowed, but it's enjoyable while laying on the sofa and binging a little Netflix. You may have noticed in the last post, that most of the mentions of various products end with the fact that I enjoy them. I've enjoyed every Maker's I've had, until now. The regular releases are good, solid bourbons. They are affordable and available wheated bourbons. the cask strength Maker's and Maker's 46 are a joy to drink. These are more expensive than any of their previous releases and, honestly, I'm underwhelmed. I like Maker's Cask Strength much better than either of the bottles I got. And here in Minnesota, I can get that for $55-60. That said, it may just be the bottles I stumbled upon. I'm not willing to give up yet, though it will be a while before I decide to try again. I'm mostly not willing to give up entirely because, I tried the bourbon from my two bottles mixed together in equal parts and I like it much better than either of them on their own. Does that mean that I would like a bottle that is made up of 2-Baked American Pure 2, 1-Seared French Cuvee, 2-Maker's 46, 4-Roasted French Mocha, and 1-Toasted French Spice? No idea, but if I see one like that I will probably pick it up and see. UPDATE: In response to this review, Maker’s Mark was kind enough to send me a bottle from their gift shop. It used all Maker’s 46 staves (and so is essentially a Maker’s 46 cask strength). They sent it to me to provide me with another opportunity to try one of their Private Select bottles and maybe change my opinion of the line. I really enjoyed it, as I thought that I might. (When I reviewed the initial cask-strength Maker’s 46 I purchased from their gift shop I gave it a “love” rating.) So I’m posting this as an update and not a full review since not much has changed about my thoughts on the various bottles (meh, like, love respectively) but I needed to be transparent on receiving the third bottle. 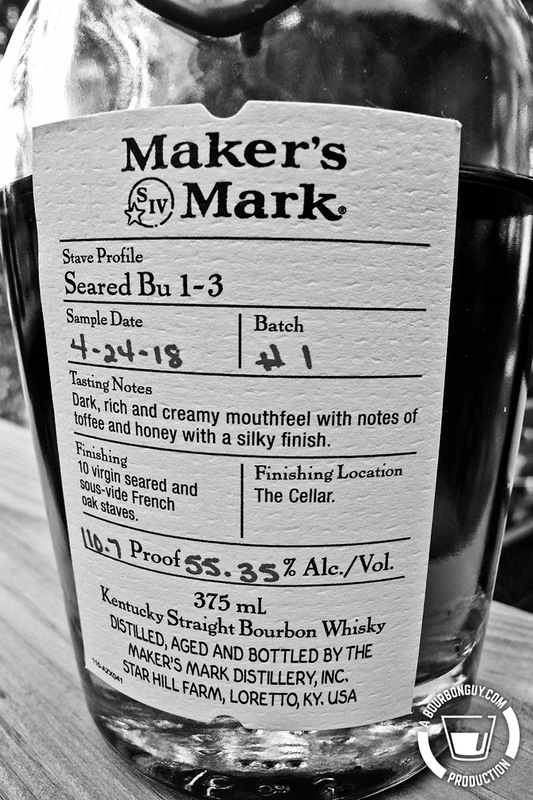 I would say that if you like Maker’s 46 and see a Private Select bottle that is entirely using Maker’s 46 staves you should pick it up. I think you will really like it. It’s autumn here in the Northern Hemisphere. The time of year, in North America when minds turn to falling leaves, kids in school, the upcoming holidays, whiskey and football. In my case, college football. Specifically Minnesota Golden Gopher football. I grew up in Wisconsin. A place where the state of Minnesota is deemed a slightly better neighbor than a garbage dump, Illinois or Michigan. But only just. There is no real reason for the enmity. The two states are much more alike than they are different. The land is mostly farms, trees and lakes. The people are mostly farmers, hunters, fishers. They are both mostly rural with a single large population center. Historically, the politics in both both leaned left but with a hearty dose of wariness about new people and ideas when you got to the Northernmost reaches. There seems to be one of those conservative blips happening in my former home right now, but the point still stands that these two states are much more alike than they are different. They are two siblings always sniping at one another. Each convinced that the other is an idiot. This, of course extends to their football teams. In the, increasingly hard for me to care about, NFL you have the Packers and the Vikings in the same division of the NFC. And across both sides of the border, you have both Packers fans and Vikings fans. Many of the fans of both teams are insufferable, spewing venom everywhere. I once watched a Viking fan swear at a little kid for wearing a Packer shirt and I’ve seen Packer fans do equally unspeakable things. In college, you have the Wisconsin Badgers and the Minnesota Golden Gophers in the same division of the Big Ten. In these parts, college fans can be less venomous than the fans of the pro teams. Not always, but as a general rule you can see Badger fans hoping the Gophers win certain games and Gopher fans hope that the Badgers win certain games. Still, growing up in my family in Wisconsin, you were expected to love the Packers and the Badgers and never waver. And I didn’t. Until I enrolled in the University of Minnesota after high school. When I was choosing colleges, there were exactly two schools in the general vicinity of home that offered the Astrophysics that I thought was going to be my calling. And neither had a Badger for a mascot. One was the University of Minnesota and the other was the University of Michigan. Growing up Badger was hard. At the time they were going through a spate of eight straight losing seasons and before that only occasionally flirted with respectability. Going Gopher wouldn’t be any easier, they’d been floating around the bottom half of the Big Ten for thirty years. Michigan on the other hand, was Michigan. That was a team it would be easy to be a fan of. They hadn’t had a losing season in 26 years. Quite a bit longer than I had been alive at that point. But the football team is only a determinant of which school you go to if you are a football recruit. As you might have guessed from my choice of major above, I was not a football player. And so I went with the closer and cheaper option in Minnesota and forever changed my college football allegiance. I’ve always had a special spot in my heart for the Michigan-Minnesota game though, both because they are historic rivals and because of my own history. All of which brings me to this past Saturday and the game between a heavily-favored Michigan Wolverines and the Minnesota Golden Gophers. Michigan was ranked as the 15th best team in the country. Unranked Minnesota was not living up to expectations. Michigan’s coach was the new hotness, a former player returning home from coaching his way into the Super Bowl. Minnesota’s coach had just retired a few days before due to complications from epilepsy after bringing the program back to the brink of respectability. Going into it, this was a game that I expected my team would lose. But then, a funny thing happened. The Gophers were competitive. More so than they should have been with a extensive injuries and an interim coach. The lead went back and forth before the Gophers finally went ahead on a last second touchdown. But upon review it was determined that the player was down one yard short of the goal line giving them 19 seconds to go the final three feet to win an emotional game. But after two tries, time ran out. They were half a yard short. In the span of 4 minutes I went from the highest of highs as my scrappy team looked to win an emotional game for a beloved coach to the lowest of lows when poor mistakes brought heartbreak. I am a fan of Minnesota Golden Gopher football and that means I am always prepared for heartbreak, but it also means that I always have hope that the next time my heart won’t be broken. It’s kind of how I feel about bourbon these days. No matter how much I pay, I’m prepared to be heartbroken. You feel like you can’t lose, that no one would put out a bourbon that expensive and have it be disappointing. But it happens more and more often. Fancy packaging hiding a mediocre product. And then there are times when the package gives you nothing and you just have to hope that you’ll be pleasantly surprised. Heartbreak and hope. Two sides of the same coin. If you don’t have hope that something can be good, you’ll never be heartbroken when it isn’t. But if you don’t hope for something to be good, why are you even buying it? Purchase Info: $39.95 for a 375 mL bottle. Maker’s Mark Distillery gift shop, Loretto, KY. Details: Bourbon finished with Oak Staves. 54.45% ABV. Remarkably plain packaging for something with the Maker’s Mark name on it. Nose: Very sweet with caramel and vanilla. Nicely nutty with hints of cherry, cinnamon clove and nutmeg. Mouth: Sweet and warm with the spicy tingle of cinnamon, clove and nutmeg. Chocolate, nuts, cherry and oak follow. Finish: Pleasant sweet warmth slowly reveals a bitter nuttiness and lingering baking spices. Thoughts: This is one of the times that, despite the homely package it comes in, you hope that a bourbon will be amazing and it turns out to actually be so. As you might expect from a bourbon put out by Maker’s Mark, this is an amazingly easy bourbon to drink at barrel proof. The warmth is not so hot that you’ll need to add water. It’s very sweet, but that sweetness is balanced by baking spices and other rich flavors. In fact, I’d say this might be one of the nicest desserts one could pour. I love this one. If you are in the area of the Makers Mark Distillery, as I believe this is only available at the gift shop, stop and pick some up.